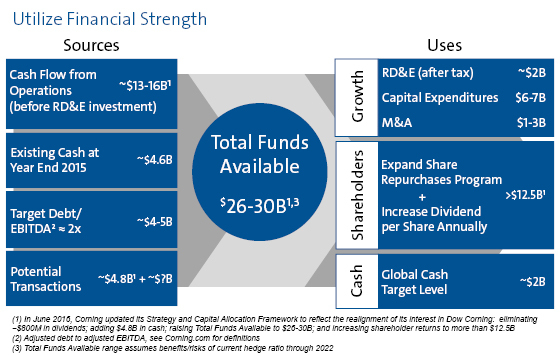 Under the Framework, we target generating $26 to $30 billion in cash through 2019. We plan to return more than $12.5 billion to our shareholders through share repurchases and annual dividend increases of at least 10 percent. We’re also investing $10 billion to extend our leadership and deliver growth. 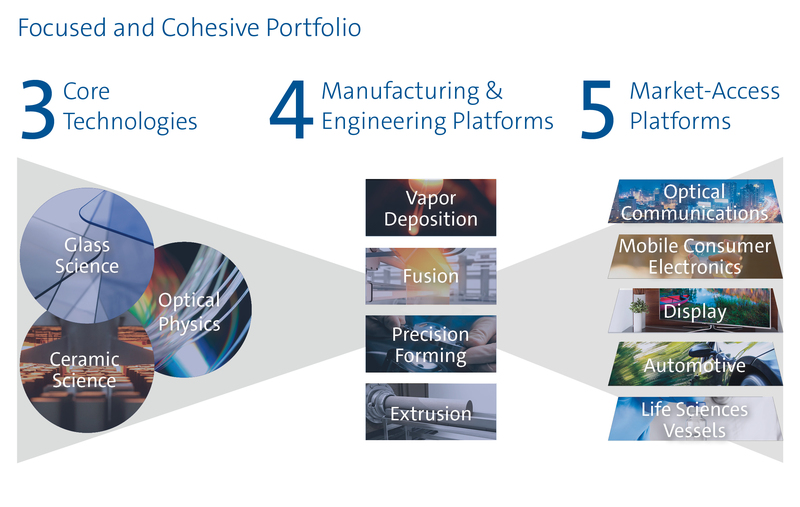 We are best-in-the-world in three core technologies, four manufacturing and engineering platforms, and five market-access platforms. We focus 80 percent of our resources on opportunities that use capabilities in at least two of these three categories. Our Capital Allocation Plan describes the sources and uses of the cash we plan to deploy through 2019. Our progress on all dimensions of the Framework is excellent. Strong financial performance that lets us simultaneously invest in growth and reward our shareholders. Our strong operating results and solid progress on value creation increase our confidence that we will deliver on the Framework goals. In fact, we think that the strategic and financial benefits of our Framework are becoming increasingly evident as we enter its third year.